I joined BGG in 2009 and since then my #1 hobby is board gaming. 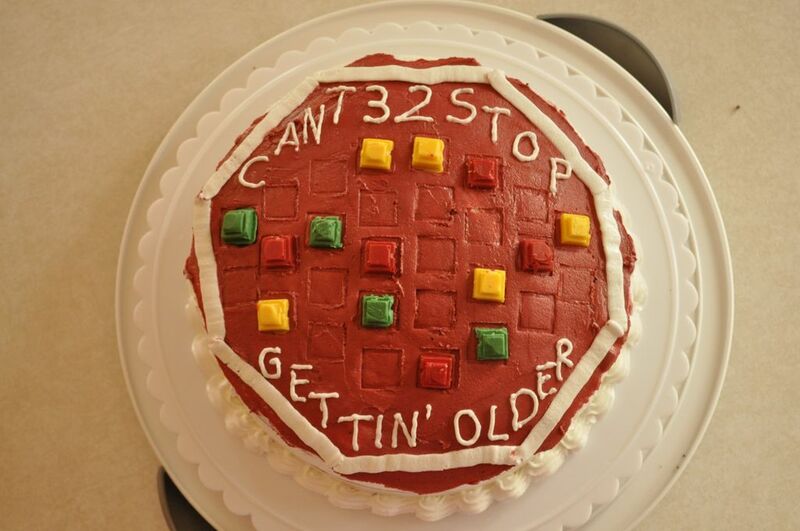 My wonderful wife has decorated my last few birthday cakes with board game themes. Feel free to subscribe to this list, but it'll only update ~1 time per year. 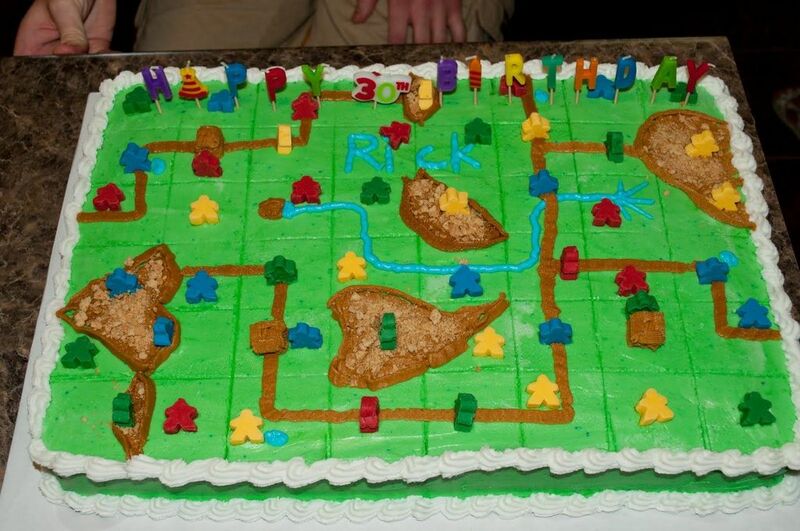 Although perhaps my kids will request games on their cakes as well. 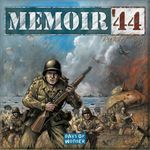 My first board game themed cake was Memoir 44. 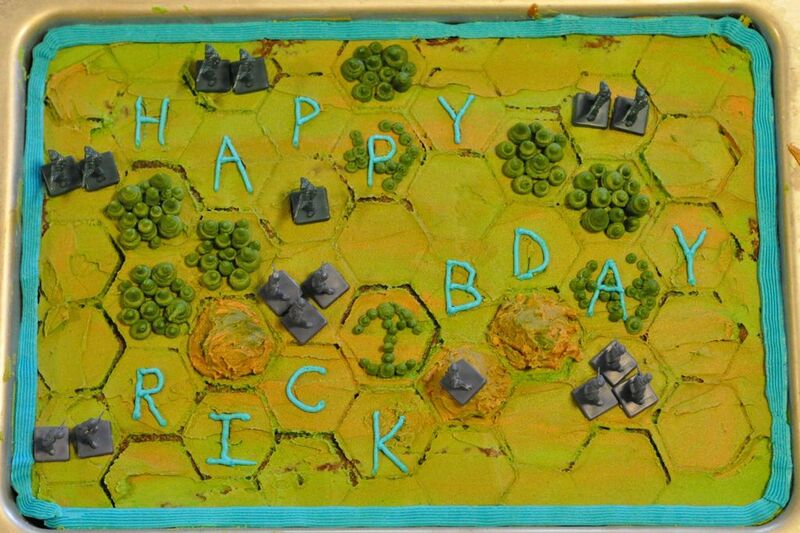 My wife made hexes on the cake and decorated them like the terrain tiles. Then she used the minis from the game. I think it turned out great. This has been her most impressive cake to date. 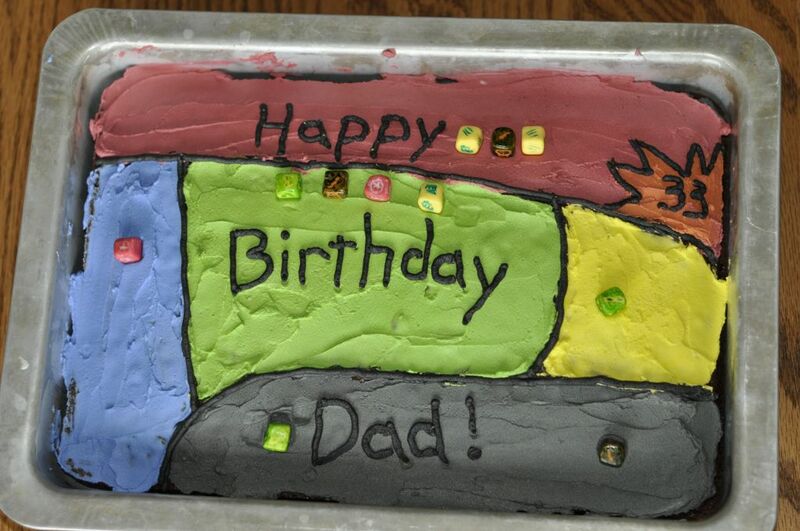 First off, it's a large sheet cake so it took a long time to make. Secondly, she made the whole thing without me knowing because she also planned a huge surprise birthday party for me. I had no idea about the party. 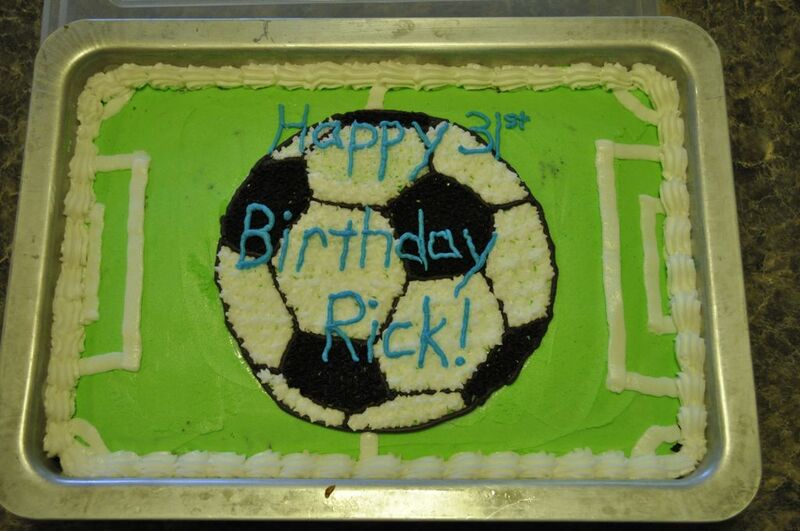 It was a fantastic surprise and this cake was just the icing on the.. cake?! The meeples are actually edible. She mades molds of the wooden ones and then used Candy melts to create the sweeter version. 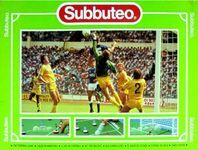 OK, so technically she was just making a soccer field, but this could double as a Subbeteo field. You just remove the ball and add the players. 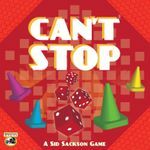 This year she whipped up a board of Can't Stop. She used the game pieces as molds this time. This worked perfectly to make slightly smaller versions of the actual pieces. This year she surprised me with a Marvel Dice Masters cake. Complete with edible dice. Although the dice aren't placed legally she did a fantastic job with the details on Wolverine, Vibranium Shield, Loki and Ghost Rider.